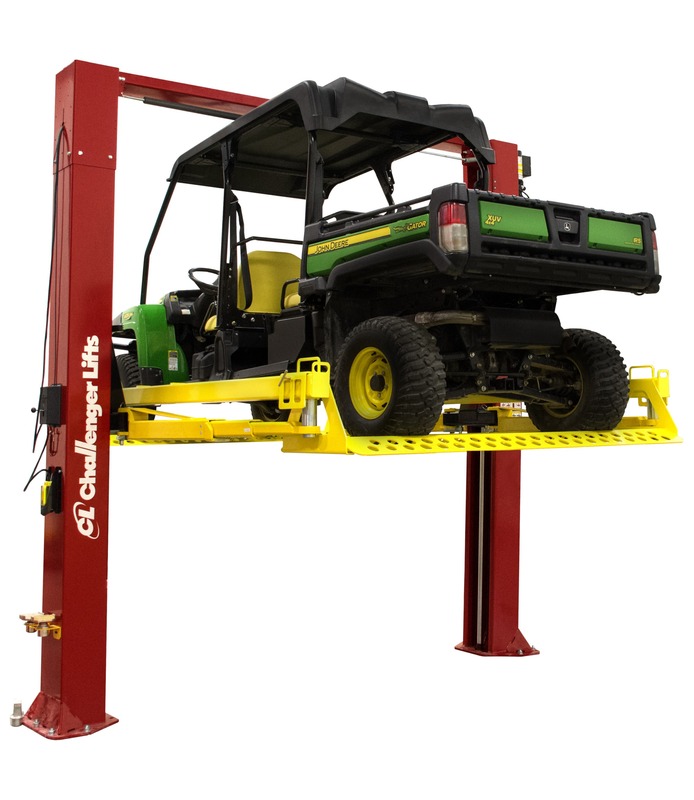 Challenger designed the Turf Rail attachment for 2-post lifts to pick up turf and all-terrain equipment by wheel engagement. 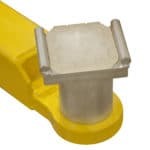 A patent-pending two-rail system engages the height adapters of most 2-post symmetric lifts. Two fully adjustable trays then attach to the rails to accommodate wheelbases ranging from 26” to 116.” In less time than it takes to make a phone call, you can transform your 2-post lift for full under-vehicle access to golf carts, four wheelers, motorcycles, tractors as well as any other equipment up to 7,000 lbs. Each tray has a 3,500 lb. capacity. As a result, you can maximize your service flexibility without losing valuable shop space. Challenger offers adapters and lift point accessories to accommodate virtually any vehicle. 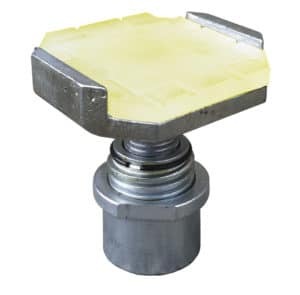 Telescoping screw pads and stack adapters make access to lift points as simple as possible. 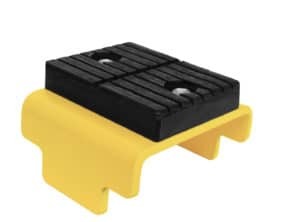 Challenger’s steel footpads are designed to endure the wear and tear of a highly productive shop. Frame engaging lips eliminate the need for additional adapters. Footpads can be screwed up or down to ensure level lifting in all conditions. Double telescoping models offer maximum adjustability. More precise and secure frame engagement ensures technician safety. 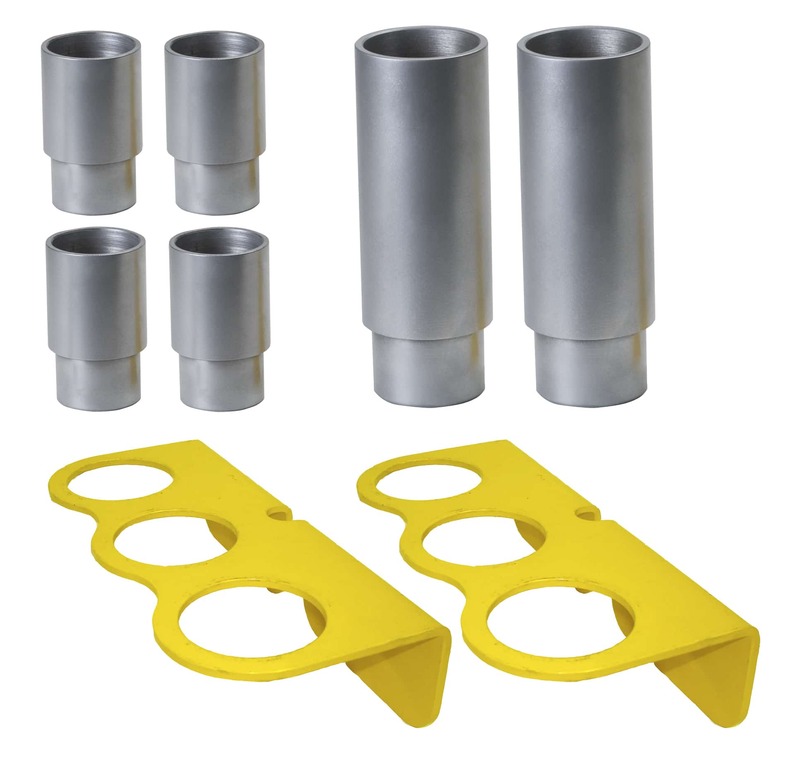 Challenger stack adapters are available in 3″, 4″, 6″ and 8″ increments to help you reach any vehicle’s pickup points. The drop-in design allows for quick and easy use. Adapters come standard with many Challenger models or can be purchased individually, in pairs or as a set that includes a column-mounted organizer rack. Challenger offers a range of vehicle-specific adapters and footpads, including luxury car adapters, frame-engaging truck lift adapters, cradle adapters and pin adapters for sprinter cargo vans. 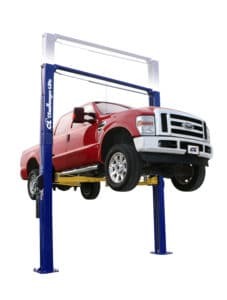 For decades, Challenger Lifts has offered the most versatile lifts in the industry, allowing you to create a solution tailored to your shop’s specific needs. Ensure a higher return on investment by customizing your vehicle lift fleet with Challenger. Upgrades are not available on every 2-post model. Contact AEW at (614) 873-2206 to see what upgrades are available for your lift. 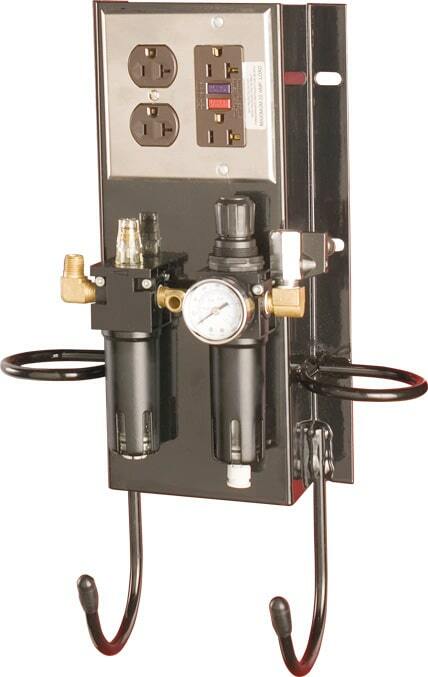 The Quick Cycle hydraulic enhancement increases lift service efficiency by 42 percent over standard hydraulic packages. Quicker rise and lower speeds increase the productivity and profitability of any shop. Our 9,000 lb. 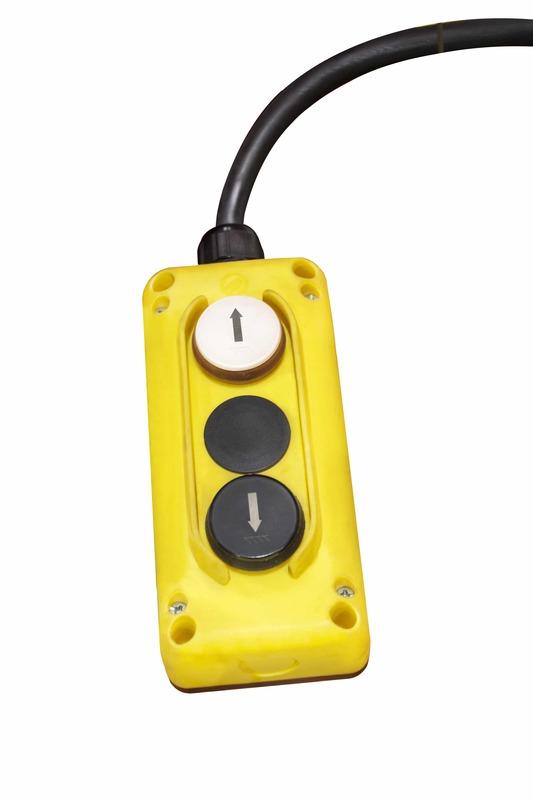 capacity drive-on express pad allows you to drive straight onto your 2-post lift, eliminating the need for time-consuming spotting. Flip-up ramps offer the quickest and easiest vehicle loading available for a wide range of express service capabilities. 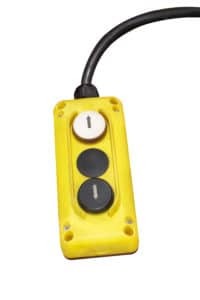 Always within technician reach when small spotting adjustments matter, dual pendant power controls expedites vehicle spotting by providing an unobstructed view to lifting points. 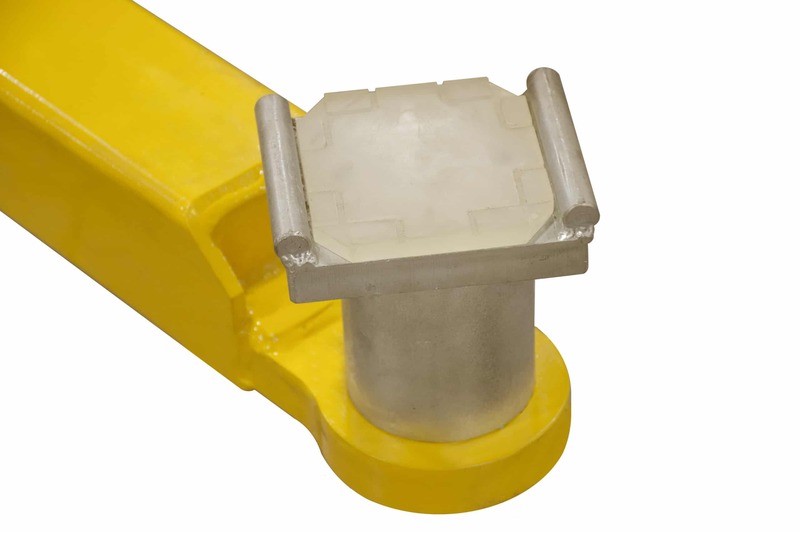 Increase your service capacity to high-profile vehicles by extending your column height. Choose between 1′, 2′ or 3′ extensions to fit your shop and your needs. Increase productivity and reduce frustration in your shop with Challenger’s convenient workstation management kits. 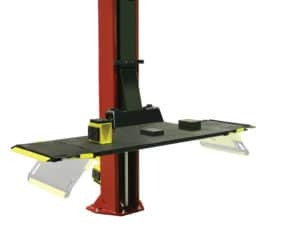 Keep tools tidy and conveniently stored directly on your lift columns. 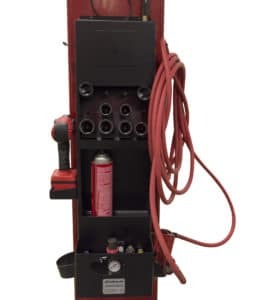 Challenger’s column-mounted air/electric workstation places air supply and electric outlets conveniently within technician’s reach on a lift column. 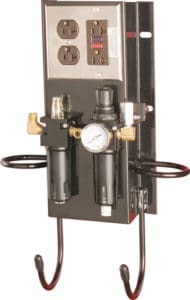 The kit includes a filter, lubricator and regulator and allows air pneumatic tools such as impact wrenches to be kept always within arms reach. The Tire Tool Manager will save space in your shop by allowing technicians to mount tools directly to the post of your Express Service Lift. Keep your shop clean and organized, with necessary tools within easy reach.